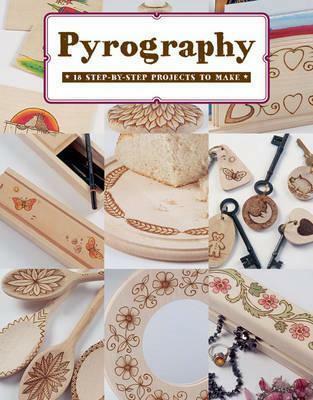 Pyrography features the decorative craft that has been practiced around the world for thousands of years. This ancient art involves burning intricate designs on objects made of wood, leather, cork, fabric, and even paper. From beginner basics and information on equipment and techniques to advanced ideas for personalizing anything from cutting boards to furniture, there s something for everyone. Both men and women will enjoy making and receiving these 18 fun and interesting projects like door numbers, a letter rack, and a jewelry box.